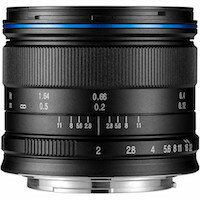 If you're looking to get wide shots on your Panasonic GH4 / GH5 cameras, consider the Venus Optics Laowa 7.5mm F/2.0 UWA Lens for MFT Micro Four Thirds cameras. This is a great sharp, fast, wide angle lens that renders straight vertical lines and minimal distortion. The Ultra Light Version has a reduced weight for drones, but that also makes it a perfect lens when working with those smaller hand held gimbals. The F/2 will get you more light in dim lit interiors, and the fact that it can accept a filter is great when you need to throw an ND Filter on outdoors. 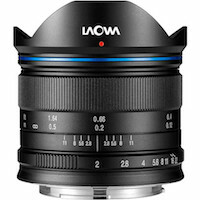 The Venus Optics Laowa 7.5mm F/2.0 MFT Ultra Light is back in stock today (via B&H) found here. Posted in dslr video. Tags: F/2 wide angle lens, laowa 7.5mm MFT, panasonic gh5 wide angle lens, UWA ND Filters, venus optics on August 22, 2017 by Cheesycam.